Sounds like I should just give it a shot and report back. In the meantime, I thought I'd show some of my thought process from a recent weekend outfit. 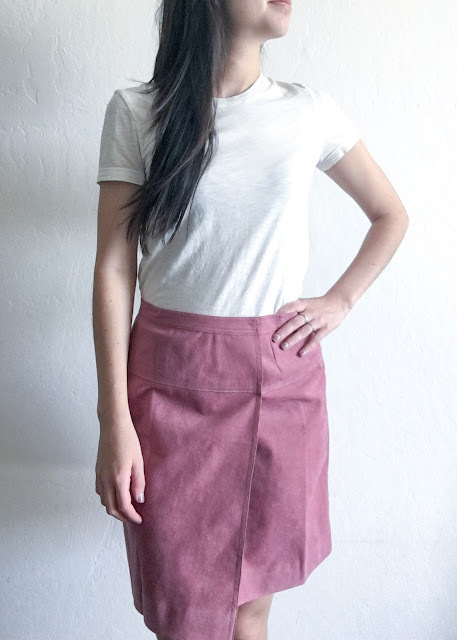 I have this awesome pink suede skirt, that I bought from a thrift store in 2014. It fit perfectly in the waist, but was a floor length, maxi skirt (query why someone needed a full length pink suede skirt) so I bought it and took it to a tailor. The tailor very nicely saved the cut material, and I still have the rest of the skirt. I keep vowing to do something interesting with the leather (like maybe make a little coin purse) but I guess it has now been 3 years and I haven't acted on that impulse. I still really love the skirt, but I have a hard time finding ways to wear it casually. Now that fall is finally starting in the Bay Area, I thought I'd break it out, and see if I could find it a good match. 1. 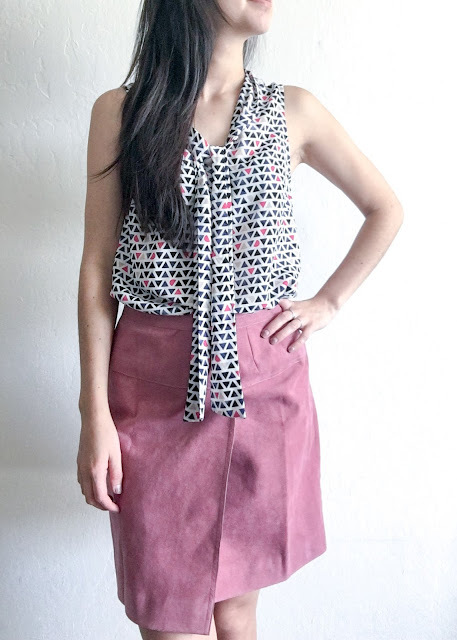 I started off with a sleeveless top, that has little pink triangles, that I thought would complement the color of the skirt. This look was much too coordinated for the weekend, and sort of made me feel like I was an extra on an episode of Mad Men, so it got nixed. 2. 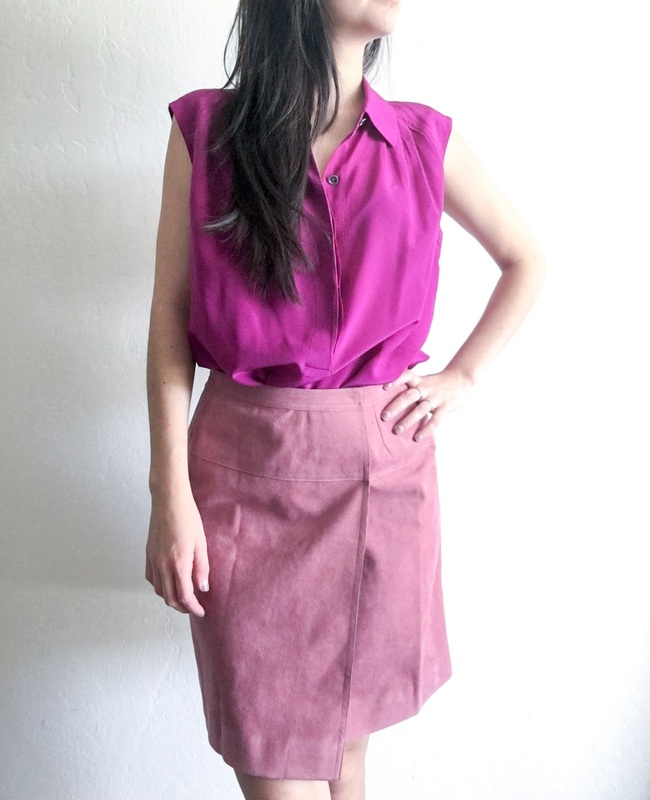 I kept the silhouette of the sleeveless, loose blouse, but decided to double down on the pink. I really liked this color combo, but it just felt a little bit too bright, for the mood I was in. I'll keep this in mind for days when I want to stand out. 3. I realized the top kept throwing me off, because I wear both of those tops to work, and like to sometimes have sartorial separation on the weekend (only sometimes). I reached for a trusty white tee instead, wanting sometime soft and simple. I thought this was a nice minimalist look. 4. I probably could have worn #3, but it felt slightly too subdued. I wanted the ease of a t-shirt, but it needed something - in this case, some color. 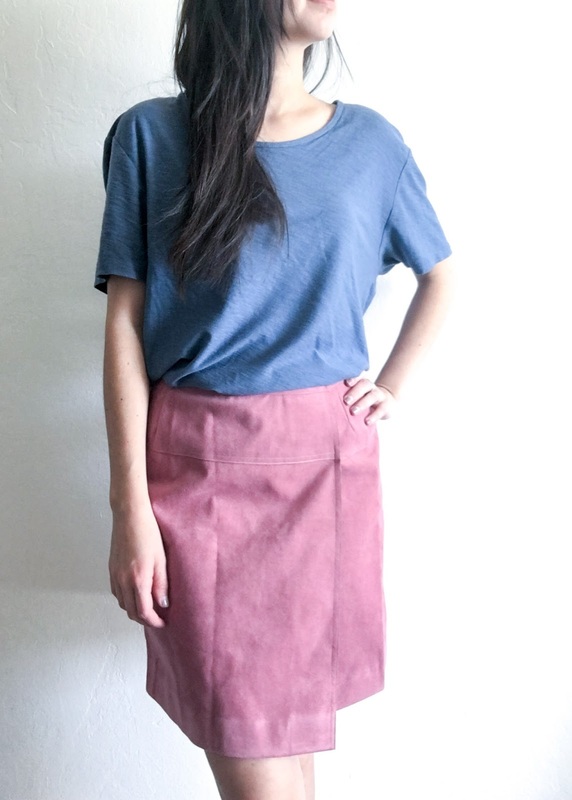 I ended up picking a soft blue to pair with the sweet pink of the skirt, and boom - I was ready to go, and have generated a few other possible pairings, to help this skirt get into my closet rotation. Which look do you like the best? Also, do you plan ahead when it comes to your outfits? I try to plan my outfit the night before. All my good outfits are a result of that because I’m no morning person. Of course, some days I wake up and am not feeling it, or it’s rainjbg, or whatever, and then I just play things by ear. I wish I planned all my outfits. 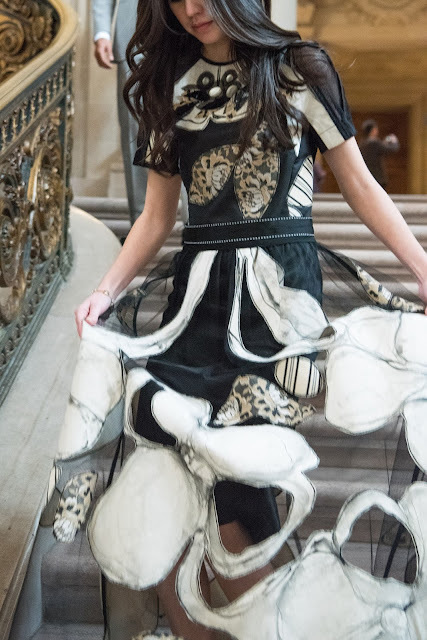 Yea - I think I am going to try and give outfit planning a good-faith effort in the new year.